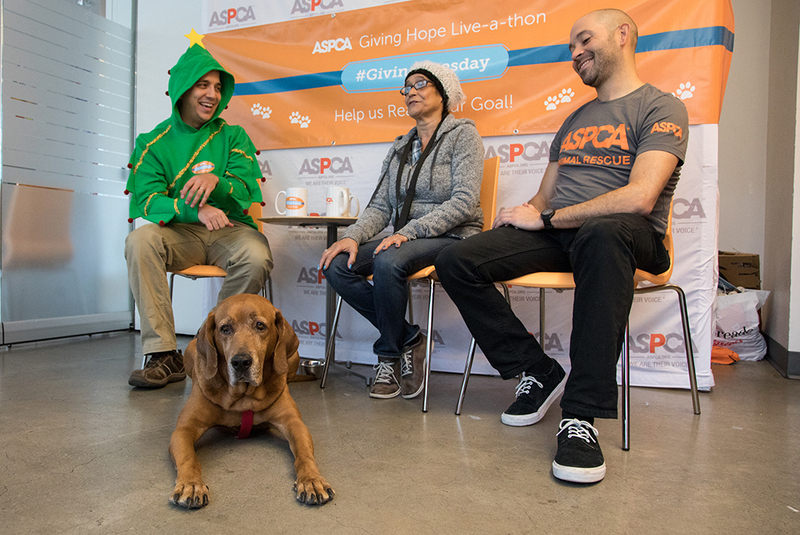 Yesterday, in honor of Giving Tuesday 2017, the ASPCA hosted our first-ever Giving Hope Live-a-thon, an all-day livestream on our Facebook® channel. 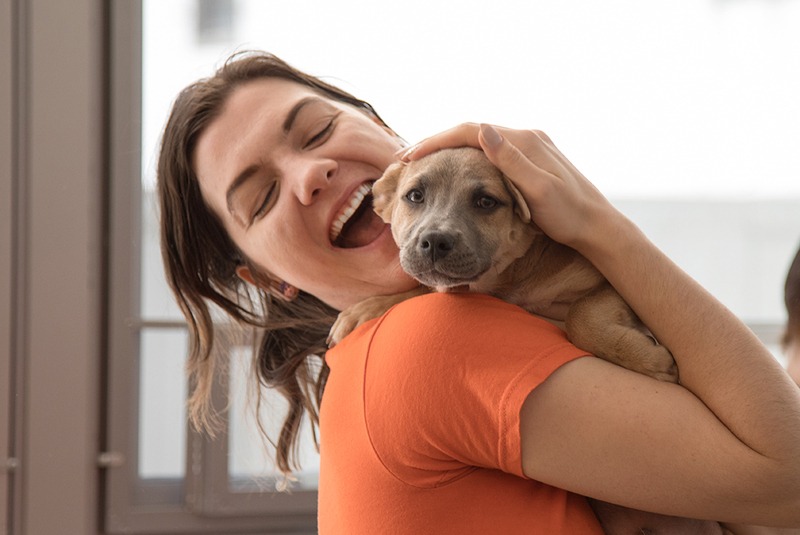 The event was hosted by the ASPCA’s Interactive Marketing Vice President, Luke Franklin, and included nine hourly livestream segments that spotlighted various ASPCA life-saving programs. 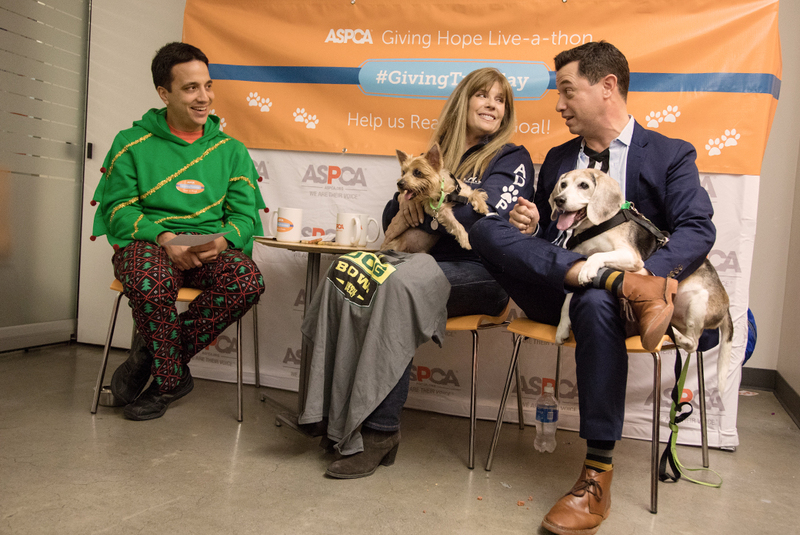 The event was held in partnership with Animal Planet, as well as Subaru of America, Inc., who generously offered a donation match up to $25,000 for the day. Thanks to an outpouring of support from our members, we reached our $25,000 goal before 3:00 P.M.—with hours still left in the day! Even with our match met, the donations from friends and supporters around the country continued to come in during the remainder of the event, showing the incredible commitment of animal lovers everywhere. Puppy playtime! We started off the day with some of the ASPCA Adoption Center’s adorable residents and an introduction from Luke. Renowned actress Edie Falco of The Sopranos® stopped by with her dog, Sami. 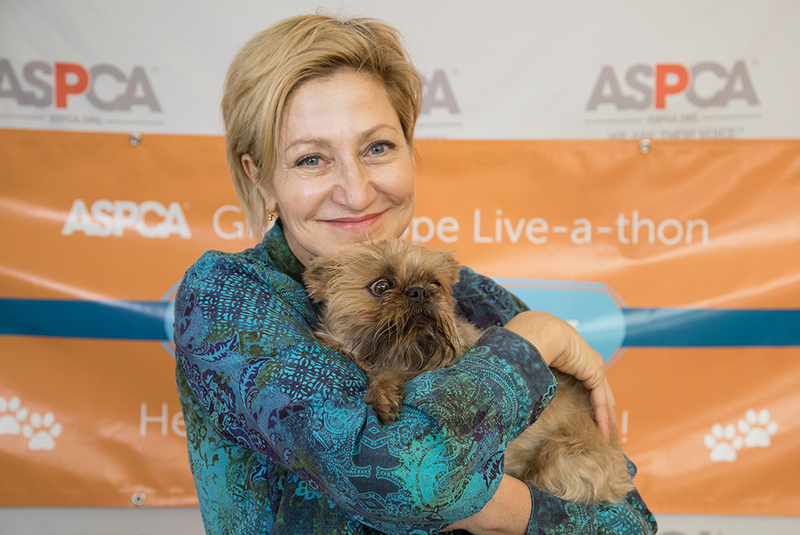 Edie Falco kicked off the second segment to talk to us about her personal experience with adopting a pet, an in-depth look at the truth behind puppy mills, and the life-saving importance of adoption. Disaster preparation advice and a look into the life of a newly adopted Hurricane Harvey survivor, Zeus. The Director of Planning and Field Operations for the ASPCA’s Field Investigations and Response team (FIR), Joel Lopez, took a moment to discuss planning ahead for natural disasters, and we caught up with Zeus and his family. Behavior training with Travis Brorsen, host of Animal Planet’s My Big Fat Pet Makeover. 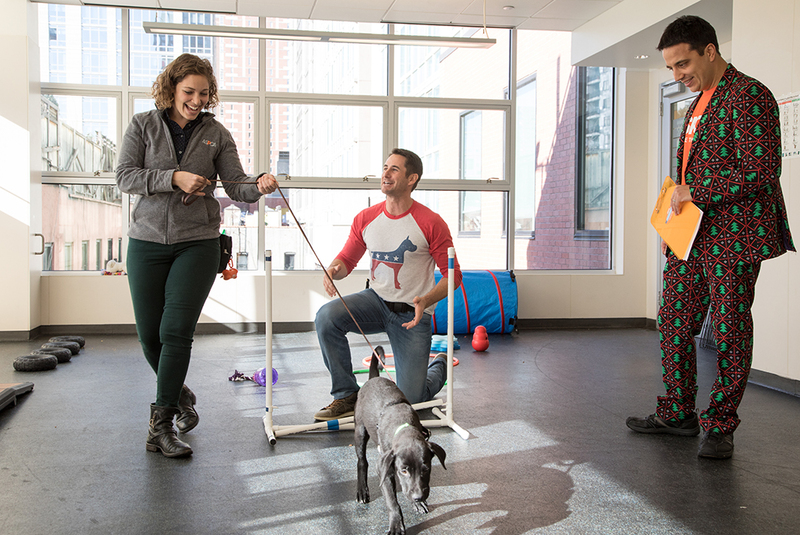 Viewers were given an in-depth look at how behaviorists work with pets to teach them good habits. Travis also provided tips on how to keep pets fit, healthy, and not a candidate for a big fat pet makeover! 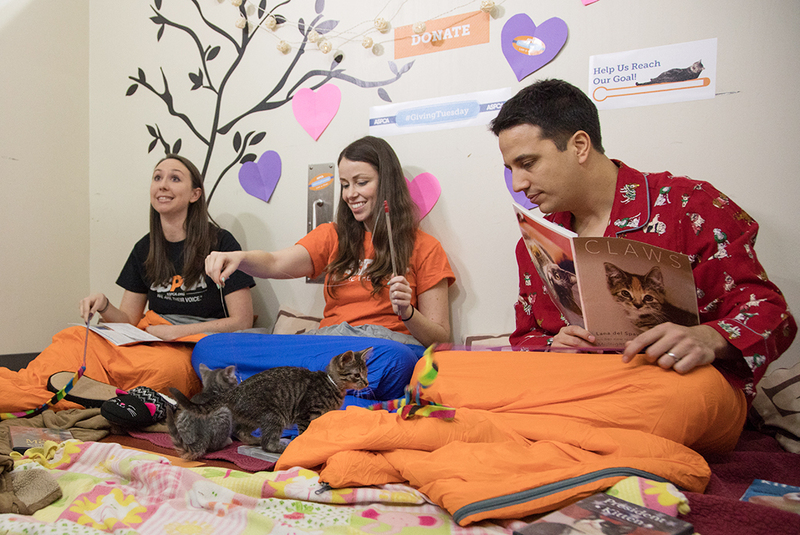 Kitten bottle feeding, playtime and a slum-purr party at the ASPCA Kitten Nursery! This segment included a look into all of the hard work that goes on at our Nursery and a focus on our Kitten Foster Program in Los Angeles—and, of course, adorable kittens! Storytime at the Gloria Gurney Canine Annex for Recovery and Enrichment (CARE). 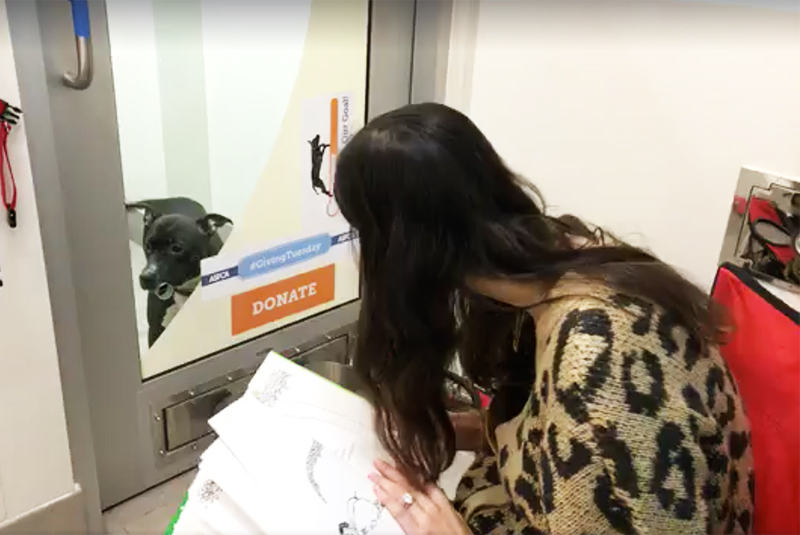 We took time to read to some of our long-term residents at CARE to highlight the ASPCA’s Storytelling Program with help from Allie Rizzo who runs @TheMotherofDogs. 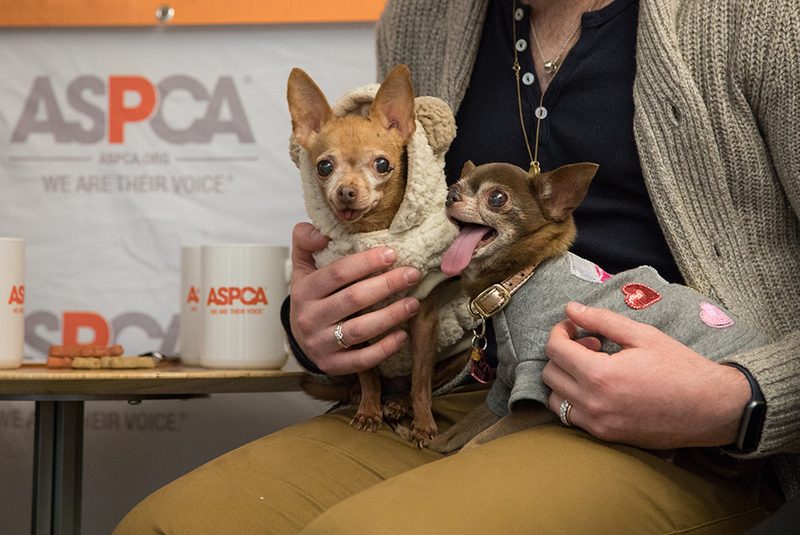 A spotlight on senior pet adoption with Mervin the Chihuahua and Chloe Kardoggian! These two Instagram celebrities took time out of their busy schedules to discuss the importance of senior pet adoption and answer questions from viewers. 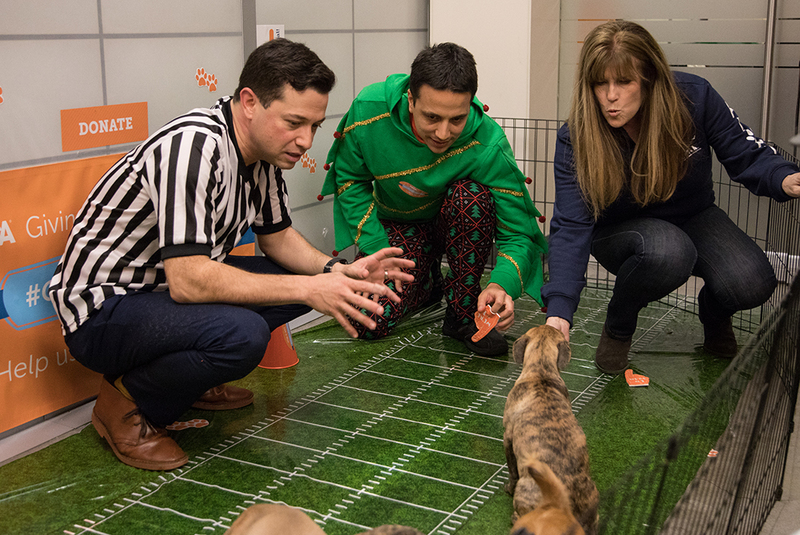 Adoptable senior dogs with award-winning animal advocate and host of Animal Planet's first-ever, Puppy Bowl Presents: The Dog Bowl, Jill Rappaport, and Animal Planet Puppy Bowl “Rufferee,” Dan Schachner. In another segment focused on senior pets, Jill Rappaport and Dan Schachner helped spotlight two of the ASPCA’s adoptable senior dogs and discussed why senior pet adoption is so important. A final puppy playtime with transported puppies who were rescued from St. Croix in the aftermath of Hurricane Maria. What better way to end the day than with puppies! Tweedle, Dee, Tess and Jonah recently came to us all the way from the island of St. Croix, and they closed our last segment with a well-deserved (and incredibly adorable) playtime. For everyone who helped make this exciting day possible, including Animal Planet and Subaru of America, Inc., we are incredibly grateful. We couldn’t have done it without supporters like you, and we are thrilled to have been able to further spread awareness about the life-saving programs that you help fund every day. We are hopeful that the impact of this day will continue to inspire more people to give back to animals in need year-round. For more on the Giving Hope Live-a-thon check out our highlight reel below!